Electric Heating, Oil, Steam. Radiant. Lake, Dock, Garage Apartment. Secluded. 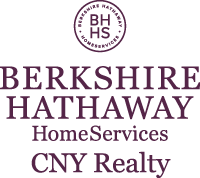 I am interested in W 2870 Lake Road, Skaneateles, NY 13152. Sign up for Inside AccessTM to view recent sales near W 2870 Lake Road. This content last refreshed on 4/22/2019 10:47 AM. Some properties which appear for sale on this web site may subsequently have sold or may no longer be available.